I got a jumpstart on broadening my cookie horizons with these vegan chocolate chip chai cookies (all of you who familiar with my eating habits are gasping right now, thinking, girl, are you all right?). Rest assured; they're really tasty. 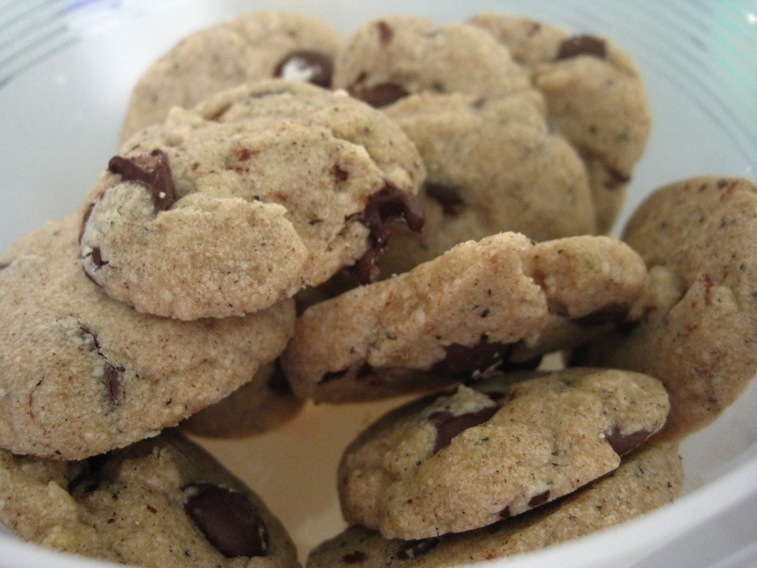 A co-worker brought a batch as her backup for our department's annual bakeoff, and IMHO she should have entered these instead of benching them. The cardamom and other spices give off a bewitching fragrance, and how can you go wrong with chocolate? 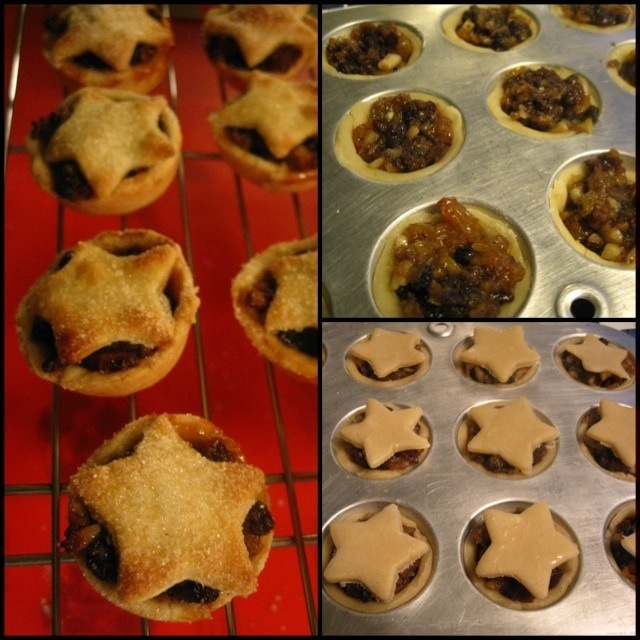 My own entry: mincemeat tarts. I had a lot of fun making the brandied fruit and nut filling, especially since a food processor made it quick work. What took a lot of time was cutting out the dough for the tart shells and the star topping, so that got me thinking about turnovers... which got me obsessing about puff pastry. 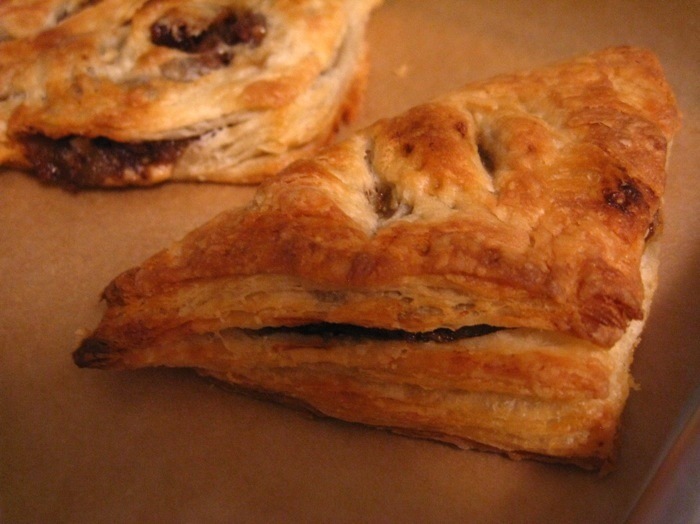 Why not use even larger pieces of buttery flaky dough as a vehicle for mincemeat? You plop a dollop on a square, fold over and go. So even though I didn't get to that cookie marathon, I managed to pick up a few new baking skills and recipes. Hope you had a Merry Christmas! What did you make this year?